There is a growing consensus among intellectuals worldwide that Ananda Kentish Coomaraswamy is the finest contribution Sri Lanka has made to this planet's intellectual culture in the last 100 years. I must explain that I am not at all interested in biographical matter relating to myself and that I consider the modern practice of publishing details about the lives and personalities of well-known men is nothing but a vulgar catering to illegitimate curiosity…. I shall be grateful if you will publish nothing but the barest facts about myself. What you should deal with is the nature and tendency of my work, and your book should be 95% on this. I wish to remain in the background, and shall not be grateful or flattered by any details about myself or my life; all that is anicca, and as the "wisdom of India" should have taught you, "portraiture of human beings is asvargya". All this is not a matter of "modesty" but one of principle. So be it. Briefly then, here is the five percent. A. K. Coomaraswamy's father was Sir Muthu Coomaraswamy a Vellala Tamil from Jaffna, Sri Lanka who married Elizabeth Beeby an Englishwoman. Ananda was their only child and he was born in Lanka on 22nd August 1877. 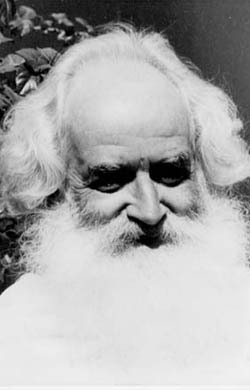 His father died when Ananda was less than two years of age and his mother raised him in England. In all he wrote some 913 papers and articles in a period from1908 to 1947. He lived in Sri Lanka from 1902 to 1905, which marked a period of transformation for him. His monumental work Mediaeval Sinhalese Art was written at this time. He returned to England in 1907 and moved between India and England till 1917 and finally he settled down in the United States of America till the time of his death, on 9th September 1947. Today's lecture is based on an early Coomaraswamy article. This will take up 95% of our time. I refer to: Individuality, Autonomy and Function, the last essay from The Dance of Shiva, Fourteen Indian Essays, published in 1924. Individuality is sva-bhava; autonomy is sva-rajya; and function is sva-dharma. What relevance does Ananda Kentish Coomaraswamy have to us ‘moderns' and ‘post-moderns' as we enter the coming millennium? Lenin has stated that "above all, let us have clarity of thought." What was it that Coomaraswamy represented? He called it by many names: The Perennial Philosophy, the Sanatana or Akalika Dharma, the Lex Eterna. All his mature writings reflect this perspective. To children of Bharatha Mata, Coomaraswamy was a rishi, a seer a wise man, a man who reaffirms the eternal principle. I have chosen one of Coomaraswamy's earlier articles as the basis of this talk because, I have to talk. Individuality, Autonomy and Function was written when Coomaraswamy was still a nationalist finding his feet. If I were to talk on his mature writings I would have to do so in parables or remain silent. There would be no oration at all. Coomaraswamy's mature writings mostly concern Metaphysics and Symbolism – matters that are sacred and therefore secret. On the other hand this early article reflects our present predicament as a people. This article is more relevant today than when it was first published in 1924. Unfolding events since it was written have proven Coomaraswamy right. I want to use the idealism and wisdom of the young Coomaraswamy to bring into focus the seriousness of the problems that face us. To provide each one of us with good and sufficient reason to think seriously and to take the internal and external action needed to preserve our cultural heritage. Which is to say our own futures, and those of our children and children's children. We must reflect upon ‘government'; which is not the same thing as ‘politics', although politics effects government. The Buddha and today's scientists have one thing in common … that they both recognize and proclaim that there is no effect without cause. Everything that we see about us, anything that we can think of, without exception, is the effect of its own set of causes. Violence, hatred, division are all effects with their own causes, as are cooperation and amity. We do not believe that any sensible person would agree that an effect could arise without its own cause. Some causes have positive effects, some very negative. We must all clearly see the difference between the two or we are like blind men sailing a ship. If we don t know what is a good wind and what is a bad wind for us; how can we find the harbor? We call this discrimination. To know what is the path and what is not the path. This is true science and true science is eternal. I have mentioned science because I am employing the law of cause and effect. This was once common sense common to all. Ananda Coomaraswamy uses this traditional knowledge to impart to us westernized Orientals a new insight into the present political and social problems, which are of most concern to us: autonomy, human rights, and social integration of disparate groups. These involve the very principle of government, namely the exercise of rulership. Let us borrow a concept from modern physics, and apply it to the sociopolitical situation in Sri Lanka, and in the areas with which we are most concerned at present: India and the Middle East. The concept we are borrowing is called relativity. It has to do with frames of reference. That is, the mental position from which we see ourselves and others. Let us call them systems, which exist relative to one another. For example - the frame of reference of the Muslim community is different relatively speaking to the frame of reference of the Kandyan agricultural community. The principle that we are applying makes clear that no one can claim to be absolutely right with regard to all the other frames, unless of course, he is a Buddha, logos or prophet. For anyone else, the most they could claim is a relatively valid view of other frames. Wisdom however, is the understanding of the total interactive system. Of course, all frames of reference have much in common. These things that they do have in common may be called constant proportions, and they apply in all social-inertial frames of reference. Just as the speed of light is constant in all physical frames of reference. But in fact, while the constants seem to unify, it is the differences that separate. Here then, in Sri Lanka, we have the many different communities of the island, each with its own hopes and fears, its own goals and aspirations, and often sadly, each with its own aggressions and hatreds. If we look deeply within, we will see that none of us is free of these things when our deepest and most cherished beliefs, our cultures, seem threatened or endangered. This instinct to defend is true throughout Nature. Social scientists call it the territorial imperative. The defense of one's territory is instinctive. Each of our communities is in this way completely different from the others. And this is good, since it provides us with a cultural richness and diversity that benefits us all. When we link all this together we find the things that unite us. Such constant proportions as rice and curry, our mutual love of our Motherland or a wish for peace and tranquility, family relationships and admiration for aspects of each other's cultures. Now, what is the role of government in all of this? In great measure it is to balance all of these factors to harmonize them in perfect co-operation toward the agreed aims. So, generally, although perhaps not perfectly, a government exercises rulership by what is called popular mandate. A consensus between the communities is arrived at within a political party. If that party comes to power it attempts to implement the consensus arrived at and on the basis of that implementation alone, has what is generally regarded as, "the right to rule". This is sometimes interpreted as the duty to rule, no matter what. That is, the government acting on behalf of one or more communal frames of reference seeks to impose the majority rule by force over another communal frame of reference. This is the way of the Dictator … the tyrant whose only arm of policy is violence against all dissent. This must never be our way, never the way of an enlightened society. This does not mean that the government should not defend its own conceptual foundations with armed force if one or more of the other frames of reference are subjected to armed attacks at the point of a gun. This is roughly the situation as it obtains at the moment. The social sciences tell us that the repudiation of tyranny must ultimately involve the repudiation of majority rule. The reason that majority rule is rejected can only mean that the seceding communal frame of reference is seeking autonomy. That is, freedom to run its own affairs entirely, independent of any other community in the nation. It feels that there can be no entirely just solution to its special interest problems without this autonomy. If we ponder this for a moment, it becomes clear that this is no less true for nations in this day and age than it is for the individual. In light of this, we must take into consideration the evolving concept of human rights. From an existing nation it is possible for communal groups to arrive at individual autonomy in two ways either by revolt against the rule of the majority or by entering into autonomous co-operation with the other communities on the basis of pure self-interest. Ultimately, if each frame of reference desires autonomy, we have the beginning of a social disintegration sanctioned by the very diversity of interests and individual freedoms that any enlightened democratic government must assert, nurture and cause to grow. By these I mean the virtues and skills inherent in each community, which are of benefit to all. Government, as a model, should want true Islamic culture to grow… so that its virtues may benefit and bless us all. This does not mean that this government is pro-Muslim at the expense of other communities. Likewise, with Buddhism, Christianity, Hinduism, etc. All should grow and flourish and be recognized through both ‘fruit and flower'. This can only occur when the various frames of reference lose their fear and more importantly, mutual suspicion of each other. This then, is the paradox: government can do nothing else other than rule, upholding that right by force if necessary. But wise government knows that it cannot rule or keep in subjection by force of arms any cultural group without creating an unstable equilibrium in the whole fabric of society. This instability will become the rule rather than the exception. In these days of modern light arms often given to children "communal self-assertion built on limited self-interest, however seemingly justified, leads to the anarchy of chaos The very opposite of ‘good' government!" Indeed, the very opposite of any government at all, comes to govern! This is the present situation in the North, in certain areas of the East and in Colombo as well, with suicide bombers lurking even around Cinnamon Gardens. This type of disintegration will not stop here. According to Coomaraswamy, the opposite of all of this social disintegration the path to reintegration can only be founded on the common identity of interests of all our communities. The countries of Europe, by way of illustration, deadly enemies for centuries, with far more trouble than ourselves, have founded the European Union because they have the wisdom to recognize their own best interests. These lie at the opposite pole to war, chaos and conflict. Europe knows war - thank God, so far we in Sri Lanka only know about it. Twenty thousand British soldiers died during the first hour of the Battle for the Somme, there were two million deaths in all for a field of mud. Having had these experiences Europeans have chosen peace and co-operation among themselves. This is truly wise - and in its own way, quite magnificent determination of future destiny, on the part of this most influential continent. If we are to follow this path we must first understand ourselves, not as a multi-communal nation but as a multi-cultural nation. This is the planet Earth. And here we are on our island nation called Sri Lanka. We are a multi-cultural society and we are in the year 1999, with the year 2000 fast approaching. This is the reality. We must go into the future as we are, not as we might like to be. Among ourselves, we do have a common identity of interests and we do have a common unifying philosophy within which to assert these interests. The traditional Sri Lankan art of living with its special attitude towards land, water, and air is still a living heritage. This is what we must build on, according to Coomaraswamy. There is nothing at all at this moment to prevent us recognizing these common interests and there is nothing to prevent us from co-operating to achieve them. Co-operation is not government. Let us suppose that no one community expects to receive from the other communities something for nothing. This is certainly the case in Europe what Americans call the ‘bottom line'. Even with this jaundiced view, the principle of mutual aid and co-operation will permit each one to fulfill best its own ideal function in the greater community. It will find its place naturally. So there we have it, again the paradox Coomaraswamy describes, Only Government based on conscious co-operation, and not the will to govern others, can create a stable equilibrium! The "will to govern" must not be confused with the "will to power." The"will to govern" is the "will to govern others." The "will to power" is the will to govern oneself. Those who wish to be free should have the "will to power" without the "will to govern." In this context, according to Coomaraswamy, everyone who believes in the self-determination of national groups is an anarchist. However, a state of entire liberty can never be attained because the "will to govern" can never be totally eradicated. But we must never cease to keep the ideal in mind and avoid the pitfalls of mistaking our communal force for that which is best in us. Our true spirit. We all know what is meant by a show of force. It is easy to confuse our force with our spirit. They are not the same. Devoid of spirit, communal force becomes fascism, which then tries to destroy whatever of the spirit is still left in those of other cultures and beliefs. Nazi Germany is a very good case to point, where this actually happened in our own lifetimes. Against all of these nightmares we have only one defense, the ability to freely use our vote intelligently to change things harmoniously, and without the disruption of our social fabric. All that threatens this basic human right is someone with a gun who is willing to kill those who hold to this path. Freedom does not come from the barrel of a gun. But, oppression does recoil through the barrel of a gun – upon whoever is holding it. Let us look away from Sri Lanka for a moment to the outside World. For we are connected to it, and events there must influence us here. There is a possibility of a severe breakdown of communal relationships within our great neighbor India. It may well be that they will need our help and goodwill in aiding their great Union to remain in being. If we look farther abroad to the Middle East, there too the signs are for stormy weather, which like India's troubles must effect us. These are legitimate concerns for all of us. There are over 500,000 Sri Lankans living and working in these areas, with thousands of families here dependent upon them there. Whatever government is in power in Sri Lanka must make contingency plans against a worst case scenario. This is a duty incumbent upon it. It is also highly likely that oil will become scarce and expensive if the producers in the Middle East are swept up in war. We must spread our energy requirements in such a way that we will be less dependent on any one supplier or method to ecologically and sustainably guarantee our future needs. There is also the strong possibility of the collapse of the world monetary system or at least some severe shock to it, the consequences of which are difficult to predict. Clean water is also going to get expensive and unaffordable. Traditional methods of rice cultivation are being abandoned in favor of sugar cane, tobacco and other export crops. With them will disappear an entire culture and its particular lifestyle. There is also extreme and growing unrest in Central America and other parts of South America. And of course there is Africa. The competition for our raw materials and resources, that is the resources of the so-called ‘Third World', is also likely to breed considerable aggression among the competitors. Competition changes behavior. There are parallels to be drawn between our predicament and that of Central and South America. These two Americas form a huge continent, which from the 16th to the 18th century was largely dominated by Spain. One man led a revolt against Spain in Central and South America. His name was Simon De Bolivar; and the country of Bolivia is named after him. Simon De Bolivar was perhaps the greatest revolutionary general that ever lived. He almost single handedly defeated the might of the Spanish Empire, mighty indeed at that time. He did this all over that vast continent not just in one small country. It was a war of horror, of massacres and bloodshed beyond belief with no quarter asked or given by either side. It went on for years and years, then one day finally, Simon De Bolivar and his comrades had won their battle. They set about the task of transforming South America into one great nation. To be called Gran Columbia. It was a task that proved impossible, and as is so often the case, the great revolutionary Simon De Bolivar was forced to flee for his life to exile in the United States. There he sat down and wrote a book. His account of the struggle, and the lessons he had learned from it. In his summary he listed four points and the first was this: ‘He who makes revolution ploughs the ocean.' Second: ‘This country (South America) is ungovernable by people like ourselves.' Third: ‘There is no political system or experiment that will not find a place here, they will all appear and pass away like orchids in the forests.' There was a fourth point, but I cannot remember what it was; I read the book a long time ago. How many of today's leaders have done Simon De Bolivar the honour of studying his summaries? Perhaps this is not a part of their scholarship. There is an old saying by another South American, George Santayana, ‘That those who forget the past are condemned to repeat it.' I believe that forgetting Bolivar's experience is an example of the kind of forgetfulness that Santayana warns about. Everywhere we look here and abroad the same socio-religious and ideological dynamics are at work. In the middle of all this, here we are. We are being affected and will continue to be affected by these factors. For us - the future must start from this moment. It is going to be born whether we will it or not, and we have no idea what this new baby is going to look like. To bring it into being we must see our minds and the best parts of us. To build secure foundations the work we must do is first internal, on ourselves, to get rid of our hatreds, aggressions, and suspicions. All religions have techniques for doing this, and all are valid. In this view Prabhakaran's war, while destroying the economy and spilling the blood of our youth, is on the other hand protecting Lanka from the onslaught of commerce. From this perspective Prabhakaran the Destroyer becomes Prabhakaran the Preserver. As long as the war continues it is bad for any business other than arms and war-related business. It seems the guardian deities of Lanka have their own ideas. This island is protected, so proclaim both the oral and written tradition. Do we need another avatar to settle the issue of the Gem Set Throne of Lanka or do we start now with the best use of our minds? We are told that God responds to the quality of our imagination. That's what we need today, and that is what Coomaraswamy prescribes. Do we have the imagination? Can we reserve a small part of Lanka as a Living Heritage Conservation Zone, an area sacred to all communities, a sanctuary where one can live the lifestyle that traditional wisdom teaches and prescribes? There are caves in Lanka with the inscription ‘Dedicated to the Sangha of the Four Quarters of the World, Past, Present and Yet to Come.' These pre-brahmi inscriptions predate the ideas of the ‘nation-state of Sri Lanka' and the ‘Sinhala' or ‘Tamil' people. We (Cultural Survival and the Kataragama Devotees Trust) were in this region a month ago - Kudumbigala, Okanda, Bovatagala and Kumuna. We were moving with the Pada Yatra, the annual foot pilgrimage along the East Coast from Jaffna to Kataragama. We first walked this pilgrimage in 1971 and our teachers Yogaswami and Swami Gauribala had done so for many years before that and as a result we are well known in the region. This region we believe is ruled by Skanda-Murukan, and his devotees have no fear. Before we enter the Yala East Park we come upon the forest village of Panama. Everyone in Panama knows that they are a mixture of both Sinhala and Tamil. They will even today laughingly tell you what a joke it all is. Common sense prevails. Common sense rules. It is incumbent upon all of us that we don't convert these simple god-fearing people and their blessed surroundings into regions of conflict. Let us all agree on just that. One small corner of Lanka where we do not fight. This does not threaten anyone. Enlightened self-interest demands that we retain a small part of Deviyange Kaele or ‘God's own forest' as the Kataragama God's forest is called, for contemplation and not development. We need such a place to escape to from the jaws of materialism and the modern mentality. Let this be our sacred pledge for the millennium, our vision for the future. The vision we would like to be remembered for. That we will help preserve one small part of traditional Lanka as it is and treat it as Maturu Bhumi. This is what the people of the region want. We all know it is 'going against the stream' like the Blessed One's Alms Bowl going up river, or the Water Cutting ceremony at Kataragama. Remember however, that life begins against the stream. Always remember, that there are many worlds under the sun, each of them a small or a large world, often with its own rules, laws and status, and its own particular way of looking at things, its own world view, if you wish. We must all train ourselves to see the world in this special way – a way that makes it meaningful and full of richness, and more important full of truth, with infinite possibilities. I conclude with the greetings and blessings of Skanda-Murukan, also known as Coomaraswamy the Eternal Youth. Haro Hara! For six years Cultural Survival presented the Annual Ananda Coomaraswamy Oration. We abandoned it because of the lack of speakers. After Ranjit Fernando's brilliant inaugural lecture, the quality of the contributions changed. Ranjit predicted that. I asked the late President JR Jayewardena, the late Gamini Dissanayake and President Chandrika Kumaranatunga to make the article I have spoken on the basis of their orations when they accepted Cultural Survival's invitation. President JR Jayawardena wanted to use the occasion to document a period of history; Gamini did very well talking about Mahasammata (common consensus) and President Kumaranatunga accepted the proposed subject but never turned up, canceling at the last moment, after invitations had gone out. That was reason enough for us to give up our annual Colombo event. However, this preparation has helped me greatly in making this oration. Cultural Survival moved to the Wanni from the Taj Samudra seven years ago to establish the Ulpotha Sanctuary for a private investor. This pioneering experiment with eco-tourism has attracted global media attention. We have now returned to the city to lobby for the recognition of the concept of Living Heritage Sanctuaries as our contribution to the United Nations Decade of Peace and Non-Violence, as we enter the 21stcentury. We are delighted that the Indian Cultural Centre has revived this annual celebration. ©2018 Kataragama Devotees Trust | All rights reserved.